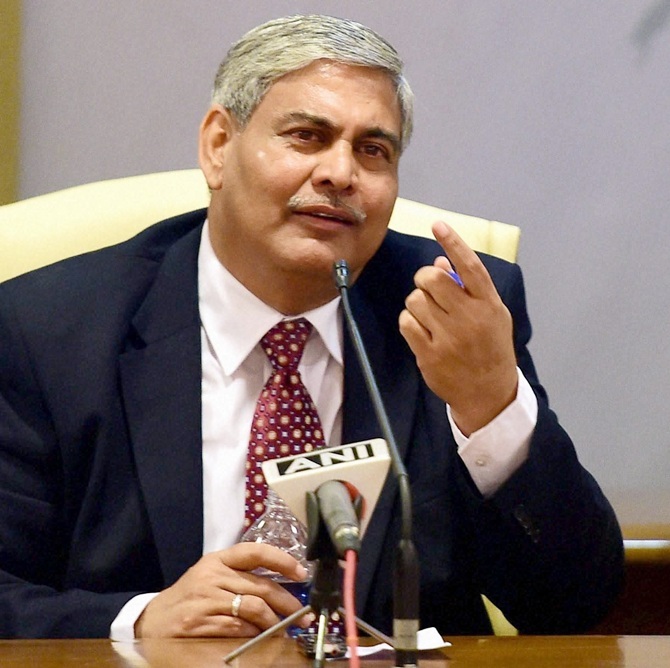 International Cricket Council chairman Shashank Manohar on Wednesday said that he is following the developments in the Board of Control for Cricket in India and that a 'strong BCCI' based on solid governance foundations is good for the game. The BCCI will be run by a Supreme Court-appointed Committee of Administrators (COA) headed by former CAG Vinod Rai and as per the orders of the apex court a three-member BCCI team will represent the Indian Cricket Board in the ICC meeting starting, in Dubai, on Thursday. "I have of course been following developments in regard to the BCCI and the decision of the Indian Supreme Court and will continue to do so over the following weeks. India is a vitally important member of the ICC and contrary to some reports, I believe a strong BCCI based on solid governance foundations is good for cricket," Manohar wrote in a column on the ICC website, which was re-launched on the day. "My vision is to ensure the sport has strong governance, finance, corporate and cricketing structures that support all of our members and decisions are taken for the long term benefit of the sport from the largest nation to the smallest," Manohar added. The former BCCI chief said that a working group had been carrying out a review of the 2014 resolutions and constitutional changes, which would be presented at the ICC Board meeting this week. "We have had a working group in place for the last twelve months and it has been carrying out a complete review of the 2014 resolutions and constitutional changes. "The group will present their findings at the ICC Board meeting this week and I look forward to discussing them with my Board colleagues and considering the next steps," he said. The former BCCI boss said that ICC is committed to promoting all three formats of the game and giving opportunities to countries to make their way to the top. "Another widely discussed area of focus for our sport that we hope to make progress on in 2017 is around the structures of international cricket. We must ensure we protect and promote three vibrant formats of the game that each have context and meaning in relation to global events, along with an event pathway that is open to every member." Manohar also made it clear that bilateral series is something that is decided by the respective boards and no structure can be imposed on the members. This effectively means that ICC can never instruct India or Pakistan to engage in a bilateral series. "The rights to bilateral international cricket are not owned by the ICC. These rights vest in the respective Boards. Thus it is not for us to impose a structure on the members. We need to work in partnership with them, facilitating discussion around the future structure and providing the resource to work through and test ideas," he stated.